We just wanted to wish all our reader a very merry christmas and happy new year. These past twelve months have been fantastic and we couldn't have done it without all the help and support from every one of you. 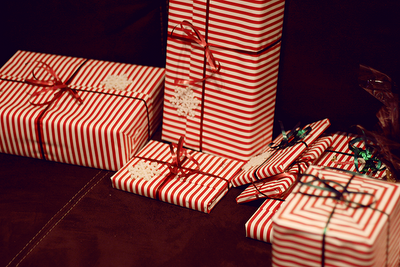 Watch this space as we'll be giving you a little present very soon! We'll be spending the day gorging ourselves on yummy food, playing board games and falling asleep in front of the TV. SO whatever your up to tomorrow we hope you have a good one. Have a fun merry cristmas too. ah! you're blog is lush! what a wonderful stumble-upon :) so cute!